As an executive director of client solutions, Cindy Hubert is responsible for inspiring leadership and building knowledge on multiple dimensions – senior client leadership, industry and subject matter leadership, and collaborative leadership across APQC. She brings both a strategic and pragmatic approach to designing solutions for APQC clients by bringing together all aspects of APQC’s capabilities to solve real problems. Cindy supports both sales and delivery teams with her industry knowledge, valuable experience, and analytical skills to address APQC clients’ most important challenges. Over the past 20 years, Cindy has provided the leadership and oversight to more than 500 client projects around the world involving transfer of best practices, benchmarking, knowledge management, and process and performance management using APQC's proven methodologies. Armed with passion, energy, proven methods, and best practices, Cindy has helped APQC clients assess the strength and maturity of KM capabilities, create implementation roadmaps to achieve business impact, use analytics to craft the business case for KM, and engage and develop the client’s team to execute knowledge sharing and transfer approaches long after APQC is gone. Her goal and that of every Advisory Services team member is to help clients build internal capabilities and competency. The scope of her client work spans a variety of industries, including oil and gas, manufacturing, healthcare, financial, retail, non-profit, and consumer products. Over her more than 20 years with APQC, Cindy has helped innovate, develop, and implement APQC’s knowledge management methodologies, and led the development and implementation of APQC’s Levels of Knowledge Management Maturity® framework in 2007. This framework is used by organizations globally to guide, develop, and execute their KM strategies and approaches. She was later instrumental in APQC’s creation and launch of its Interactive KM Framework and KM Capability Assessment Tool. Prior to her current role, Cindy was APQC’s executive director of advisory services and director of knowledge management and learning. She has provided subject matter expertise in APQC’s extensive KM research program which has completed more than 35 collaborative research projects and eight Advanced Working Groups on various KM topics. A highly-rated and frequently requested speaker and webinar presenter, her speeches focus on knowledge management topics such as Building and Maturing Your KM Capabilities, Measuring the Impact of KM, Embedding KM Into the Flow of Work, and KM as 1st Responder. 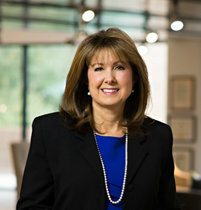 Over the years, Cindyhas spoken at many global conferences focused on knowledge management including APQC’s annual Knowledge Management Conferences, KM World, Conference Board Executive Series, Offshore Technology Conference, and various trade and internal conferences, including those focused on pharmaceuticals and oil and gas industries. She writes frequently for leading journal and magazines. With APQC President Carla O'Dell, Cindy co-authored the book The New Edge in Knowledge: How Knowledge Management Is Changing the Way We Do Business, published by John Wiley & Sons. Additionally, she taught a course on Knowledge Management & Transfer of Best Practices at Rice University's Executive Education Graduate School of Management. Before joining APQC in 1995, she spent 15 years in management in the oil and gas and retail industries, promoting quality and continuous improvement with total quality management, benchmarking, and reengineering projects. A graduate of University of Texas at Austin, Cindy received a bachelor's degree in business administration and marketing.